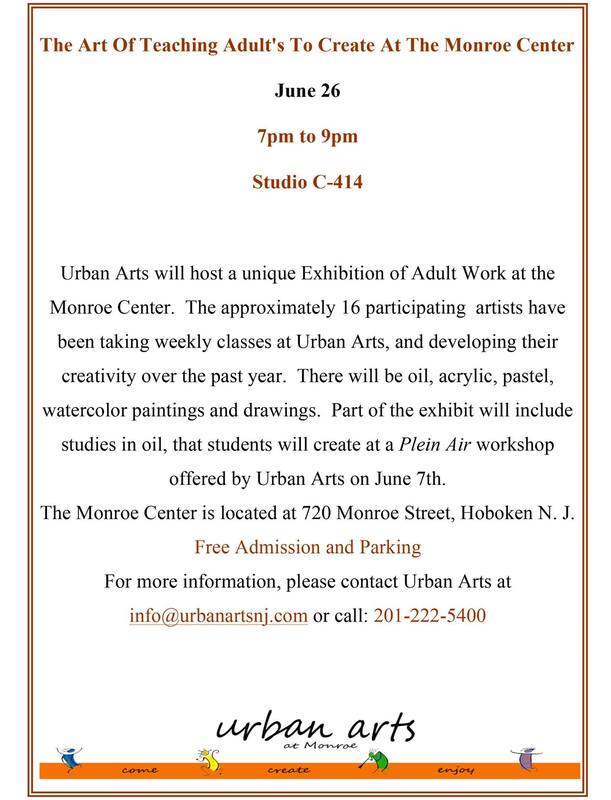 Please come show your support for the folks over at Urban Arts! They will be hosting a fantastic art exhibition for adult artists. The event will be held at the Monroe Center in Suite C414.